This here is fairly basic, yet cool LED strip. It comes with adapter and remote controller (battery included) and is split into 2 x 5 meters, however you can use the included “adapter” to connect them together and have 10m strip, the choice is yours! The LED strip is also flexible and has pre-applied adhesive tape at the back. Color choice is usual, Red, Green, Blue and mix of some other colors, such as orange, pink, purple, sea blue, sky blue ..etc. Brightness is adjustable and there are 4 different modes to choose from too, however I personally don’t like the cool color temp, the white is blueish white, but that’s matter of preference. If you want to know more and see it in action, check out the unboxing and review video below. Here’s a very basic, yet high quality desktop microphone. It’s short range only and connects via USB. Cable is about 1.5 meters and around the microphone itself there’s a soft material that kind of acts like pop filter. For more details and quality test, check the video below. 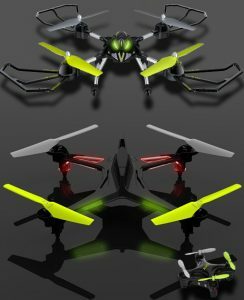 Let’s take a look at this cool LBLA foldable mini quadcopter drone! It’s very basic design and you can fold in the propeller arms, so you can fit this in your pocket! It has a small headlight and rear light. Here’s a list of Cons and Pros. Here we have a really small and lightweight “mp3 player”. Not sure why people still call them mp3 players, because they can play other formats too. mp3 player name sticks from the days when they were only able to play .mp3 formats, but nowdays most of them can do almost any audio format (such as .wav .flac .mp4 ..etc) and also some video formats. X02 can also play video files and show the video on screen, good for playing music videos. It has 8gb internal memory and expandable up to 128gb (SD card slot). Very basic player, yet good quality and somewhat easy to use. Check the video below for further details. This is a very simple and cheap stereo gaming headset, also compatible with consoles and mobiles by using the included adapter / splitter. USB cable is only to power the LED lights, otherwise it connects over analog connector. Check the video for details! Leagoo Z5c Android Smart Phone – Worth it? Let’s take a look at the Leagoo Z5c Smart Phone, it’s quite cheap, but what does it mean? is it good? bad? or both? or neither? You can start by watching the review video, which shows you the phone and gives you the idea of what it’s all about. I have looked through lot of specifications and they all seem to be different. That’s probably because idiots just copy and paste them randomly from sites, without knowing what they are saying. Note about the camera: Everywhere I looked, it says 30fps, but I tested different camera apps and never got over 10fps (front and back cameras). Also the camera photo resolution is higher than 2592×1922. I don’t know where those people getting the specs from, They never test, just talk. So that said, some places say it has IPS screen, but I assure you, it is NOT IPS. If you don’t know what’s so special about IPS, then let me explain. IPS is type of LCD screen, that has very high viewing angle. Notice when you are in front of your normal LCD monitor and move up / down, then colors distort or even go negative? Well with IPS monitor / screen you don’t have this problem, regardless from which angle you view the screen from, colors are always same, on this phone however, viewing angles are not great at all, so clearly not IPS screen. Everything else on this phone seems ok, camera quality is not good, but that was to be expected from a budget phone. It’s enough to take pics, but quality is pixelated, even outside with sunny weather. Flash on camera doesn’t really help either. I get a lot better image quality on my old Sony Ericsson Xperia X10 mini, which is a lot older than this phone. I would really like to have a lot higher camera quality, after all, what are phones for nowdays? Calling? … i don’t think so, majority of people are using their phones to take pictures and videos and sharing them on social media. So I would expect phone’s camera to have good quality. But overall, this phone is worth the money. Considering that it costs a lot less than top brands, yet it has almost all the functions that top brands have, such as GPS, bluetooth, all types of movement sensors, compass ..etc ..etc. It also has quite big screen, so you can watch some videos on it.